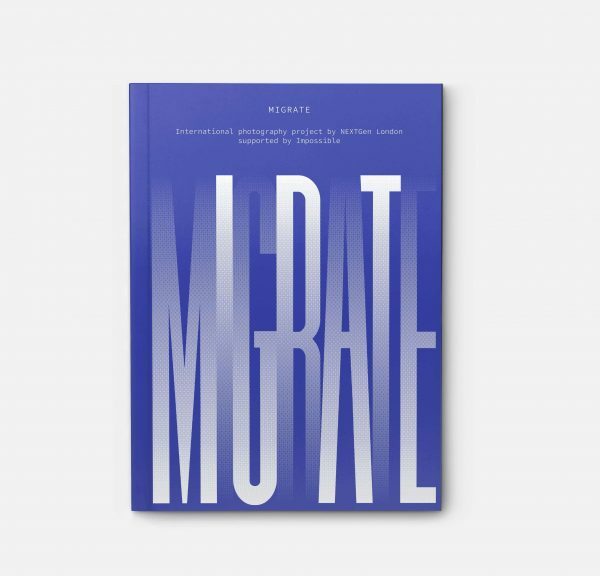 In 2017, we co-founded MIGRATE, a book and exhibition presenting new photography exploring global migration by eight international photographers. MIGRATE was founded in the hope of engaging fellow Londoners to have a conversation about the ongoing refugee crisis; the only rule was that the participating photographers had to use instant analogue film, which was donated by manufacturers The Impossible Project (now called Polaroid Originals). 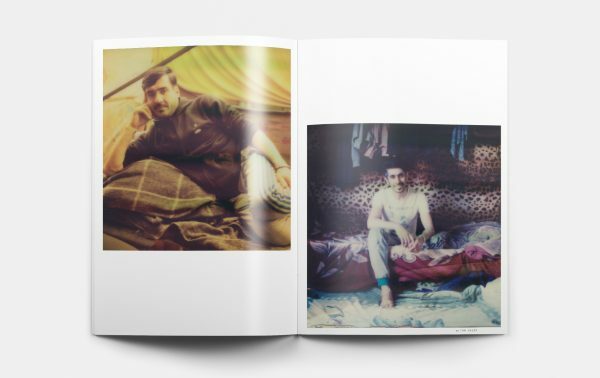 Unlike digital images, “polaroids” are physical and develop in the moment, which makes the photographer’s interaction with the subject more personal, while their small scale requires viewers to stand close and engage with the content. Our exhibition took place at Omeara in London Bridge from 29 August to 2 September 2017, complemented by a panel discussion ‘What’s the point of photography and film in the refugee crisis?’ on 31 August. The book is available to purchase below, with all net proceeds benefitting Unicef’s Children of Syria Emergency Appeal. 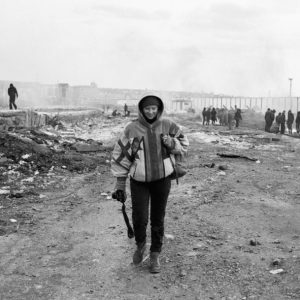 Alice Aedy is a 23-year-old documentary photographer who spent much of 2016 on the front lines of the European refugee crisis, documenting camps in Greece, Serbia and France. Her work has been published in Vice and on the front page of The Guardian. 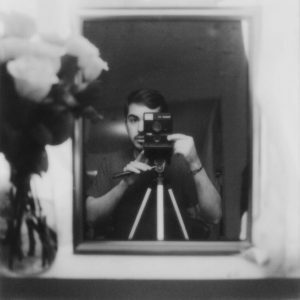 Cyrus Mahboubian is a British-Iranian artist known for his contemplative approach to photography and his continued use of analogue materials, especially polaroid. He has stated that his intentionally slow process is a response to the increasing influence of technology in modern life. His work has been exhibited in solo and group shows in London, Paris, Los Angeles, Moscow, Istanbul and Dubai. In 2014 he was artist-in-residence at the Gate Theatre in Notting Hill, and in 2016 his work was exhibited at the 11th Fotografia Europea photography festival in Italy. He has taught workshops at venues including Tate Britain and The Photographers’ Gallery. 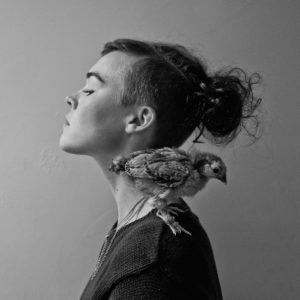 Ellie Kealey is a freelance photographer and videographer who has worked extensively across Central Asia and the MENA region. 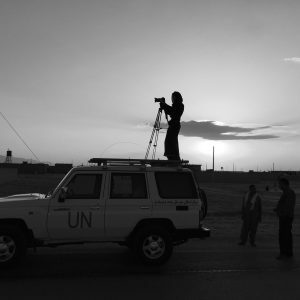 Her most recent assignments have included: social care in Kurdistan and Iraq; female empowerment in Tunisia, Morocco and Palestine; photographing children and families with disabilities in Kyrgyzstan and Tajikistan; documenting Syrian refugees in the Bekaa Valley, Lebanon; and the ongoing documentary series ‘At-Work’. 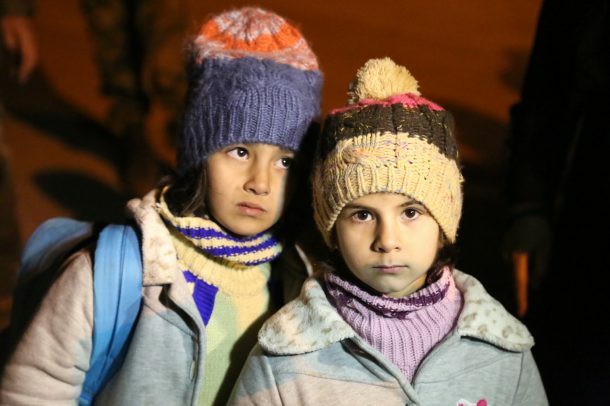 Ellie enjoys focusing on real-life stories of people living in challenging environments. As a woman she believes she has a unique advantage in capturing and documenting other women; in gaining their trust and working closely with subjects who are oftentimes in vulnerable and dangerous situations. 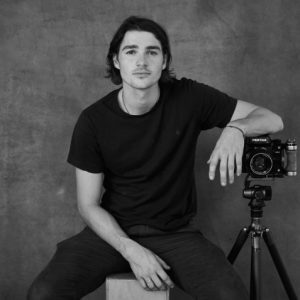 Jack Harries is a 24-year-old documentary filmmaker and photographer based in London. Having created a successful YouTube channel at the age of 18, Jack has made over 40 short films covering topics from climate change to migration. In 2015 Jack was awarded a Vimeo staff pick for his documentary ‘Our Changing Climate’ which chronicled the degradation of Greenland’s ice sheet. Most recently, Jack’s work has focused on the human costs of drought in Northern Somaliland. 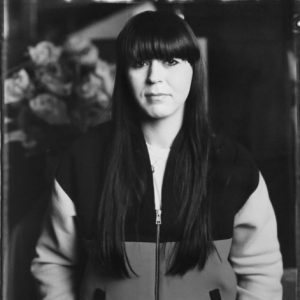 Rhiannon Adam was born in Co. Cork, Ireland and educated at Central Saint Martins in London and the University of Cambridge.Rhiannon’s work is primarily concerned with time, uniqueness, and place told though the degradation and physicality of expired films. It’s Nice That, COLORS, and Dazed and Confused. Her first book ‘Dreamlands Wastelands’ was published by Jane and Jeremy in 2014. 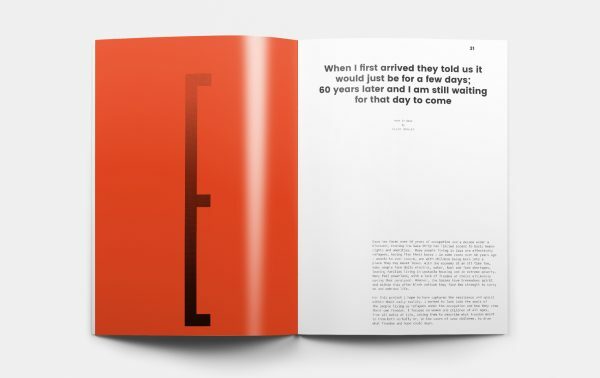 The missing Manual’ will be published by Thames and Hudson this autumn. East London-based Tom Skipp has worked in the creative industries for 15 years. Formerly an Art Director at EMI, he changed his direction after an eight-month stint in Rwanda directing a charity magazine called Ni Nyampinga, aimed at improving the lives of girls and young women. 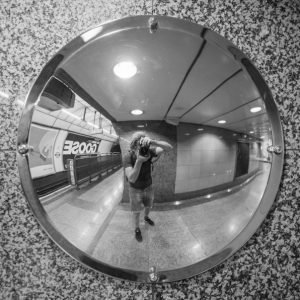 Now looking to do things that genuinely help people, Tom is intrigued by the boundaries of human interaction, the gaining of trust through photography and the split second exchange of the moment. Vassilis Mathioudakis was born in the city of Heraklion in Crete and studied Archaeology and History of Art at the University of Crete. He has worked as a professional photographer since 1997. He has worked for NEA, Passport, Difono, Kathimerini, the music hall of Athens and Athens festival, Vice and more. He currently works for the cooperative leftist newspaper ‘H efimerida ton syndakton’ EFSYN. 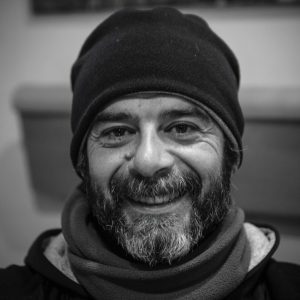 Vassilis considers himself a ‘social documentary activist photographer’ and for the last three years has been primarily focused on making work around the ongoing refugee crisis. Wolf James is the award-winning photographer and video director, D V James Scanlan. Born in Ireland and currently based in London, her work has featured everywhere from Vice to Vogue and her client list includes Sony, Virgin and Warner Music. Her subjects range from pop stars to wild ponies; her distinctive style – informal, warm and surreal – the result of a sincere love and respect between subject and photographer.